What can a Commercial Electrician in Brisbane do for you? Maynard Electrical is a very well established commercial electrician in Brisbane and we offer a range of services like installing, maintaining and repairs to the electrical components and systems within commercial buildings across the Brisbane area and further afield. Before you agree to use the services of a commercial electrician you should ensure they are licensed within Queensland and hold the relevant qualifications to operate as a commercial electrician. With Maynard Electrical you can be assured all licenses and insurances are in place! Commercial electricians can be responsible for planning the diagram of a commercial buildings electrical systems or following the blueprints laid down and placing the conduits of tubes of electrical piping in the correct locations as provided by the general contractor. The electrician then installs all the wiring that terminates at switches, circuit breakers and relays. A commercial electrician in Brisbane will then use instruments such as test meters and ohmmeters to that check the power levels are as they should be and that everything he or she has installed is compatible and safe. Tests are usually performed on machinery to locate shorts and system breaks, any deficiencies can then be remedied before the commercial building goes into being fully operational. The work of a commercial electrician is predominantly indoors so this type of construction job is not really affected by adverse weather. What services can I expect from a Commercial Electrician? When a commercial electrician has to complete a shop fitting, primarily a fitting out of all the electrical components in a newly built building he or she will usually have to work around the requirements of other professionals to complete his or her work to a planned schedule. The same shop fit out in principle applies if it is a small corner shop up to one of the largest hypermarkets. The commercial electrician is responsible for the safety and efficiency of all the electronic equipment within that shop or store. 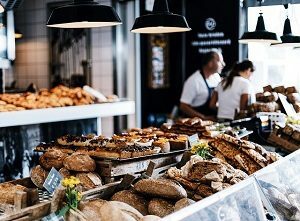 This can include the wiring of and may or may not include the installation of refrigeration and air-conditioning units as well as all the lighting, cash registers, security and alarm systems. 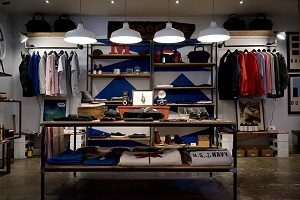 Shop renovations differ from shop fittings in that the commercial electrician is possibly taking part in doing a complete rewiring of an existing shop or store that has possibly changed its role and needs an update to a store that just needs a few modifications to its existing business model. Depending on the level of renovation work required the commercial electrician may have to work in conjunction with other trades while completing this task. The wiring of a warehouse can be placing all of the electrical components, connections, junction boxes and relays into a newly built warehouse, replacing the existing wiring due to it becoming outdated or the general upkeep and maintenance work required to keep a warehouse compliable and within safety standards. Data cables are used when electronic information is required to be sent from a source to a destination. They are used extensively in computer and telecommunications systems. The type of cabling used can be copper or fibre optics. There are three main types of cables- twisted pair and coax are both copper cables while optic cables are fibre. They can be easily identified by their own differing characteristics. Twisted pair copper cabling is made up of two copper cores each is covered in its own plastic insulation then twisted together. One wire is used to carry the signal while the other acts as a ground reference to earth the cable. The twisting helps the cable to protect signal degradation of the data communications although this type of wire is only effective over distances below about 100m. You will find coax or coaxial cable is mostly used in older computer networks. It can carry higher frequency signals than twisted pair cables and has a central core conductor which is enclosed in an insulator. 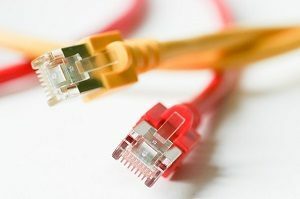 It has a higher bandwidth than twisted pair cables and can be found in digital telephone networks with a single cable capable of carrying up to 600 Mbps of data. Fibre optic cables are used by both cable and telephone companies to provide fast connections to the internet. Data signals are transmitted in the form of light and the cable consists of cladding and a core. Fibre optic cables are lightweight and do not suffer from the problems of signal degradation of copper based cables. They can have problems though due to the fragility of the glass used in the cable, they are also more expensive. Fibre optic cables can be used in multimode or single mode, multimode allows multiple beams of light through the cables core at any one time. These types of cable provide very high bandwidth as well as being mostly immune to interference from electromagnetic sources. They are less likely to get trapped due to being lightweight and they have become the preferred choice of cable installation companies due to their high bandwidth and cost effectiveness despite being initially more expensive. An office fit-out by a commercial electrician in Brisbane is about providing all the electrical components required to provide heating, cooling, lighting and power to adequately run an individual or group of offices efficiently and safely. This may include providing each individual desk or workstation with sufficient electrical power outlets and connections for each workstation to connect to the internet. Sufficient lighting needs to be provided so that each workstation has sufficient lighting and an individual can work at an ambient temperature. And don’t forget the office kitchen and toilet area, they need to be safely wired and ready for service at all times!